Dark Souls Remastered was due to release tomorrow, but it’s already available on Steam. We haven’t reviewed it, but many other places have, so we thought we’d put together a roundup of the internet’s scores to help you decide whether to commit to a purchase. If you already own the original Dark Souls then you can make a pretty good remaster of your own by using mods to sharpen its textures and unlock its frame rate. If you don’t, it’s was taken off Steam a couple of weeks ago, so the remaster is your only option. 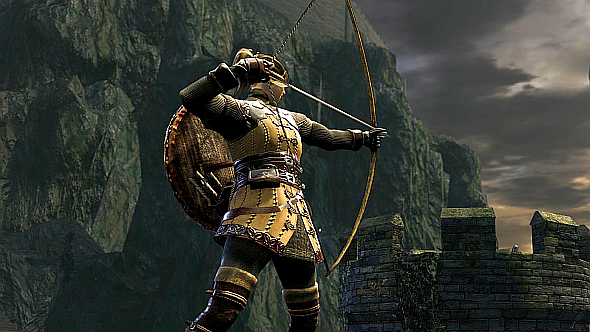 Dark Souls is still one of the best RPGs on PC. You can check out our review roundup below. Where available, we’ve also noted the platform each site reviewed – overwhelmingly this is the PlayStation 4 version, so reviews of the PC edition are still pretty thin on the ground. The Steam community score is mixed so far, with 67% of 938 reviews at time of writing rating it ‘Positive’. Rife reports of cheaters and occasional technical problems are the most common complaints. You can check out our own gameplay footage – captured on a PS4 Pro – above, or read our Dark Souls Remastered preview for our thoughts. We’ll also be streaming the PC version live at 16:00 BST today (08:00 Pacific) – head to our Twitchto check it out. Dark Souls Remastered is out now, and with a 50% discount if you’ve got the original in your library. If you don’t, and still somehow haven’t played what is widely regarded as one of the best games ever made, the remaster is absolutely worth considering. But if you own the original, are comfortable with modding, and don’t care about the multiplayer improvements in the remaster, it’s a much less convincing proposition.